Cape Town is rated as one of the top three tourist destinations in South Africa. Most tourists visit Table Mountain, the V&A Waterfront, Robben Island and maybe the beautiful coastal route around Chapman’s Peak and Hout Bay. The False Bay Nature Reserve is a unique area on the Cape Flats, situated between False Bay and Table Bay, 23 kilometers from Cape Town’s city center. It consists of about 50% permanent wetland and 49% terrestrial vegetation and some sand beaches. The reserve, covering a total area of approximately 2200ha, consists of 6 distinct sections. The most important from a tourist point of view are probably the three large wetlands – the two lakes Rondevlei (58ha), Zeekoevlei (256ha), and the manmade Strandfontein pans (319ha). Rondevlei is primarily conservation activity focused, while Zeekoevlei is highly utilized for recreation and is a popular yachting, canoeing and fishing venue. 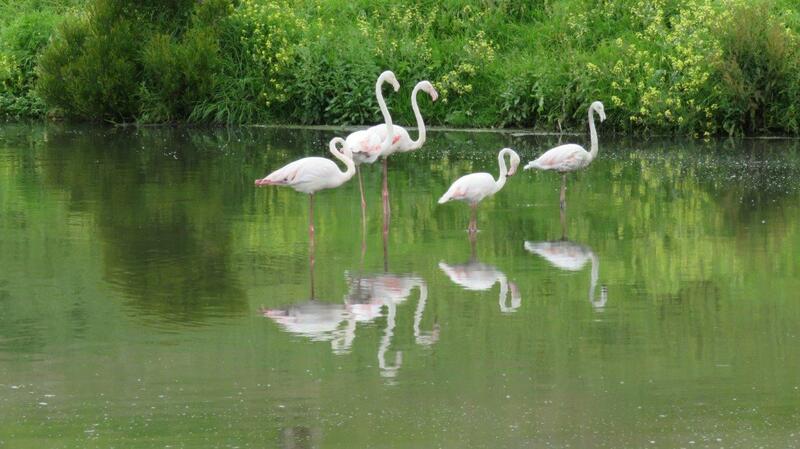 Both lakes support large populations of waterbirds including pelicans and flamingoes. The 20 pans in the shape of a wagon wheel at Strandfontein Sewage Works is a birders paradise. It is here that birders come often to watch Flamingoes, Pelicans, Fish Eagles, African Marsh Harriers and many more that one would not expect to see so close to South Africa’s mother city. The water levels in the pans are different, creating varying habitats that attract different birds to each of the pans. Roads between the pans are accessible with any sedan car or even an MTB bicycle. The remaining sections of the reserve are Slangetjiebos on the western side, Pelican Park on the eastern side, and Zandwolf the coastal strip. Slangetjiebos is a somewhat degraded piece of land squeezed between a major landfill site, an industrial Park, and a township with informal settlements and low-cost housing. It is home to some critically endangered vegetation as well being important as a buffer zone protecting the Strandfontein birdlife. Pelican Park is an area of vegetated dunes, where Cape Flats Dune Strandveld, the dominant vegetation type throughout the False Bay Nature Reserve, is in particularly good condition. Zandwolf is the coastal section linking to Wolfgat Nature Reserve on the False Bay coast. It does not form part of the designated Ramsar site. The different characteristics of the various sections are key to meeting the objectives of the False Bay Nature Reserve. While conserving and rehabilitating indigenous biodiversity is its primary purpose, secondary objectives are to promote environmental education, create recreational and tourism nodes, and provide job opportunities. 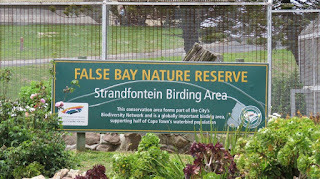 False Bay Nature Reserve is owned by the City of Cape Town and is managed by the City’s Environmental Resource Management Department. It is one of only a few Ramsar wetlands in South Africa where there is no uncertainty about its owners and responsible managers. False Bay Nature Reserve received its Ramsar status on World Wetlands Day in 2015 (2 February 2015). At the time it became South Africa’s 22nd Ramsar wetland. This is a unique Ramsar wetland because of its urban location. · With Rondevlei and Zeekoevlei it contains some of the few remaining natural wetlands on the Cape Flats. · It is a conservation area and supports vulnerable, endangered, and critically endangered species (Cape Flats Sand Fynbos and Cape Flats Dune Strandveld). The site supports various threatened fauna species (African marsh harrier, Cape gannet and Cape dwarf cameleon). The area also supports several Palaearctic migratory bird species which spend the summer at the site. These are the little stint, curlew sandpiper, greenshank, common tern and ruff. 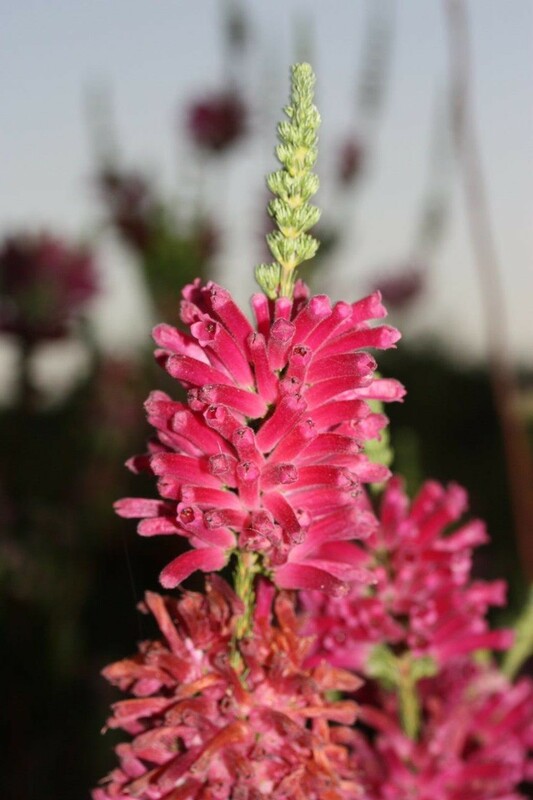 · False Bay Nature Reserve is a wetland of international importance because it supports the above mentioned to maintain the biological diversity of the Fynbos Biome. · Rondevlei and Zeekoevlei are important in the breeding stage of various animal species (western leopard toad, Cape sand frog, arum lily frog) and plant species (Cape flats erica) at a critical stage of their life cycle. Palaearctic bird species (little stint, ruff, curlew sandpiper, common tern) are supported at the southernmost extent of their migration. · More than 10 waterbird species are recorded as having 1% or more of their population found at the False Bay Nature Reserve. These species include Egyptian goose, Cape shoveler, African black oystercatcher, black-winged stilt, kelp gull, Hartlaub's gull, southern pochard, maccoa duck, white-breasted cormorant, greater flamingo, spur-winged goose, black-necked grebe, pied avocet, swift tern. The False Bay Nature Reserve is home to over 60% of the 228 bird species in the south-western Cape with notable examples including the little stint, ruff, pied avocet, common tern, greater flamingo, and the great white pelican. During our visit in October 2015, we even spotted an African Jacana. About 256 species of indigenous plants grow in the reserve including the Cape Flats Erica, an endemic plant species currently extinct in the wild. 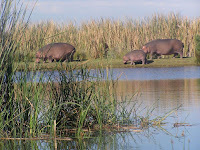 A small population of 6 hippopotamus is also located at the Rondevlei section of the reserve. They were introduced in 1981 to control an invasive alien grass species. It is the only population in Cape Town and one of only three in the Western Cape. Don’t expect to see them on your first visit, just like you will not necessarily see a leopard when you visit the Kruger National Park. They are mostly nocturnal creatures and there are numerous pans, channels, and reeds for them to hide in. 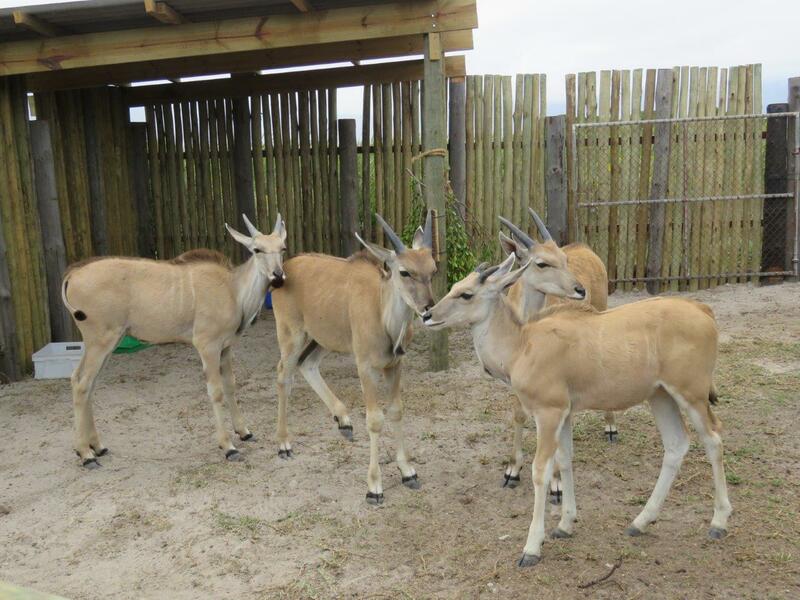 Eland antelope is being re-introduced into the reserve. 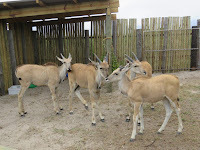 At the time of our visit the young Eland calves were still in a boma near Rondevlei, but were to be introduced into the veld shortly. The main source of water inside the reserve is from underground, but also from smaller rivers entering the reserve. With the newly acquired Ramsar status, the threat of uncontrolled development inside the reserve has been curbed. However, with so many housing developments of various social levels bordering the reserve, contamination of the water, specifically from the Lotus River passing through the reserve, remains a threat. In an attempt to mimic natural water cycles and control pollution, the sluice gates of Zeekoevlei are opened late April to drain the first flush of winter rains carrying polluted urban water, leaving only a shallow patch of water. Similarly, the sluice gates of Rondevlei are opened late in December, leaving the reserve in a typical summer wetland state with little water being seen. This is in an attempt to control reed growth due to high nutrient levels of urban runoff. There are no accommodation options for tourists inside the reserve, but surrounding areas offer many B&B and other accommodation options. 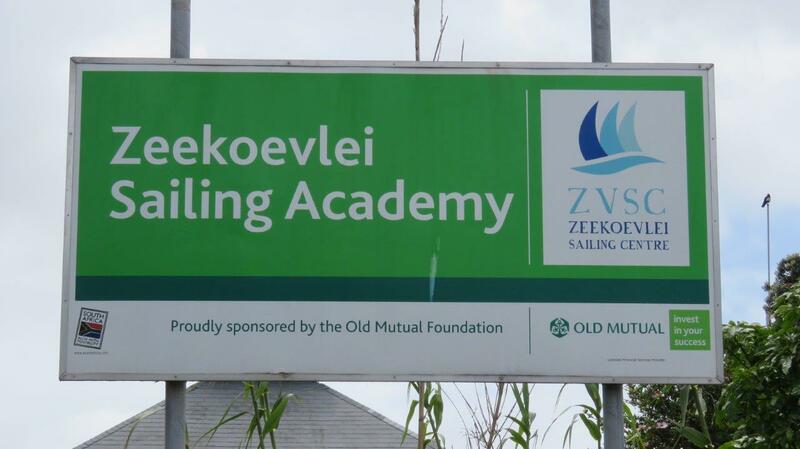 Two overnight educational facilities at Zeekoevlei accommodate 40 and 120 learners respectively for programs run by the Cape Town Environmental Education Trust, a partner of the City of Cape Town. 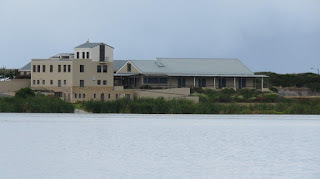 Overnight accommodation on the island at Rondevlei is also used for their environmental education program at the Zeekoevlei Environmental Centre. There are plans that these facilities will in future be used for tourist accommodation. Several of the infrastructure facilities in False Bay Nature Reserve can be rented for private functions. This includes the multipurpose hall at the newly built administration offices overlooking Zeekoevlei, the Boma and the Tearoom at Rondevlei. There are six bird hides and two observation towers with telescopes along the northern shore at Rondevlei which are accessible via a wheelchair-friendly path around the edges of the lake. 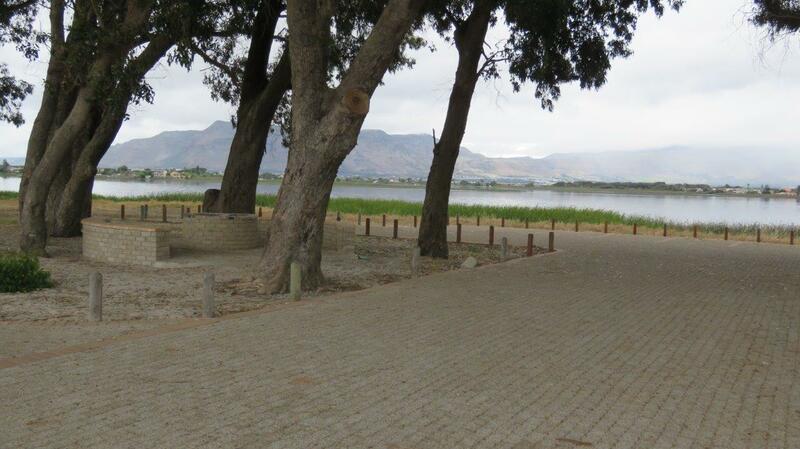 Picnic sites with built-in braai facilities, paved roads, neat and eco-friendly ablutions are open for public use along the eastern banks of Zeekoevlei. 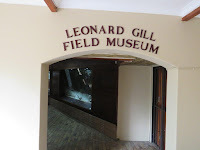 The Leonard Gill Field Museum close to the Rondevlei entrance provides a simple but effective illustration of the fauna and flora of the reserve with the accompanying challenges. In addition to being an important conservation area containing endemic vegetation types and species, the False Bay Nature Reserve offers various recreational services, including birding, fishing, water sports and picnics. Zeekoevlei is the main recreation node of the reserve. The eastern shore has undergone a major upgrade over the past two years, and now boasts a lush lawn for picnics, paved parking areas, smart new ablution facilities and formal braai areas to lure visitors. More than 100000 people visit the reserve annually. Water based recreational facilities such as sailing, fishing, rowing and limited power boating activities take place at Zeekoevlei. 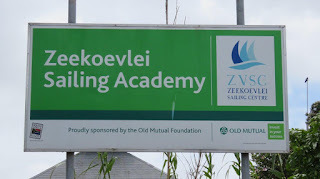 The Zeekoevlei Yacht Club and Sailing Centre are the hub for most sailing activities. Visitors can enjoy a picnic while participating or watching the watersport on the lake. 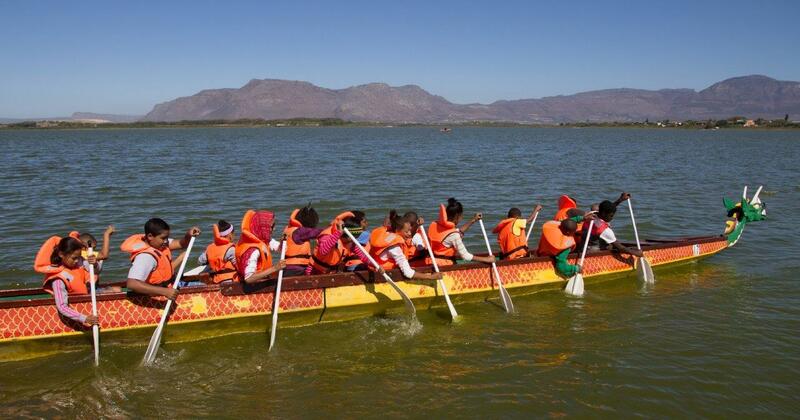 Annual events taking place at Zeekoevlei includes provincial and national freshwater angling competitions, sailing and rowing regattas, a model aircraft show and an annual Birdathon Fun Walk and Festival hosted in partnership with Birdlife South Africa and the Cape Bird Club. The Strandfontein pans are considered the best waterbird locality in Cape Town, and would be on the ‘to do’ list for any serious birders visiting the city. The good gravel roads between the pans allow visitors to use their cars as mobile hides. It is also possible (and allowable) to use your mountain bike and cycle from pan to pan. The Cape Bird Club has been conducting regular counts here since 1983, and over the years has recorded almost 200 bird species, with bird numbers averaging 15000 in the summer months. The reserve was designated an Important Bird and Biodiversity Area (SA116) in 1998. 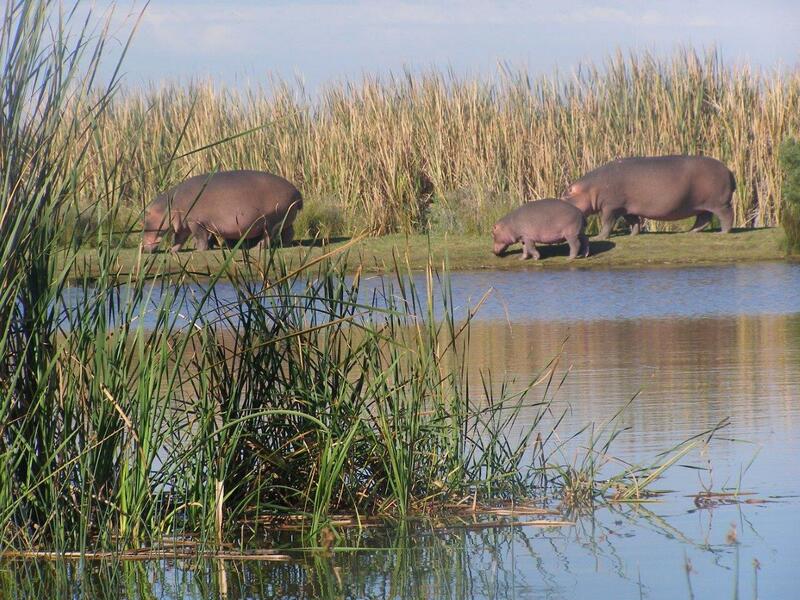 In the Rondevlei section, key recreational activities include bird-watching and searching for the hippos from the bird hides and viewing towers, walking, fishing and picnicking. 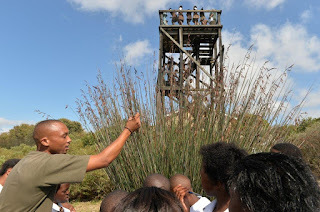 Several skills development, learnerships, capacity building and environmental education programs are conducted at False Bay Nature Reserve by the Cape Town Environmental Education Trust and others. The programs are specifically aimed at underprivileged people from the low-income areas that surround the reserve. 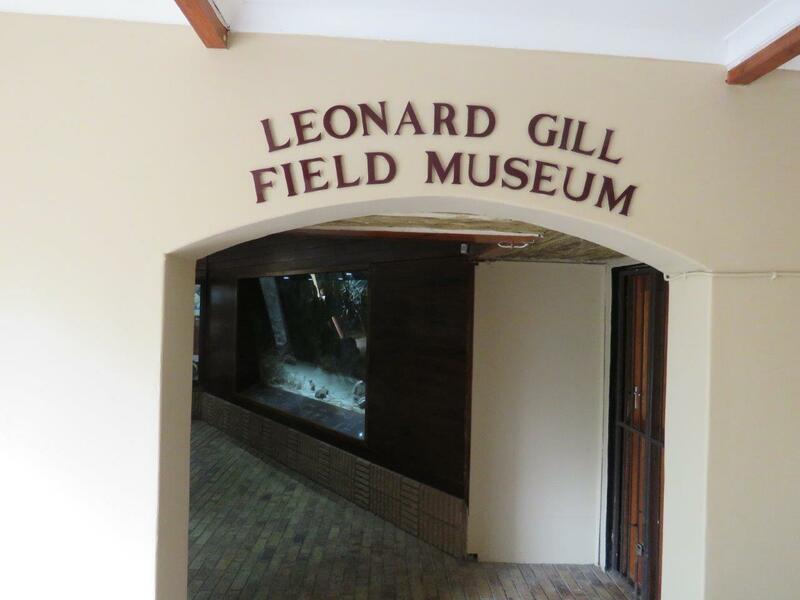 Between 4 000 - 6 000 learners participate in overnight environmental education programs annually, where they are educated through field trips and/or bush camps, hands-on environmental activities, displays and talks, as well as reptile and animal shows. Numerous day programs are also undertaken. A successful skills development and capacity building program is run, leading to formal qualifications and with many participants finding employment post-program. I asked Joanne Jackson, Head of Project and Partnership Development, City of Cape Town, why do they want people to visit the False Bay Nature Reserve? “Natural areas create a refuge for urban dwellers from the stress of urban life, playing an important part in contributing to health (both physical and psychological) and wellness, as well as a social role in creating spaces where people can connect positively. False Bay Nature Reserve was identified in the City’s tourism development plans as “an ideal demonstration site” for the application of the principles of responsible and sustainable tourism, noting that it could become a major attraction in the Strandfontein coastal area. For more pictures of the reserve, visit the pictures page. For a short video of the reserve, visit the videos page.